Trying a cooking class has been on my bucket list for quite some time. For the past year, I have been indecisive about what cooking class to go to. Worried about being the only single girl in the room, I hesitated on choosing a class, as many are for the “couple experience”. Finally, I chose “Discover Polenta with Patrick Lacey”. Although I have some “specialty dishes”, I am no expert cook. Needing to get out of my comfort zone, I have been looking to venture out. Polenta seemed to be the right ingredient to start with. When I first arrived to the cooking class, I was pleasantly surprised by the diverse group. Couples, friends, singles, and the cooking impaired all joined to listen to Chef Patrick Lacey talk about the versatility of polenta. The menu featured four dishes. Each course was paired with a glass of red or white wine. 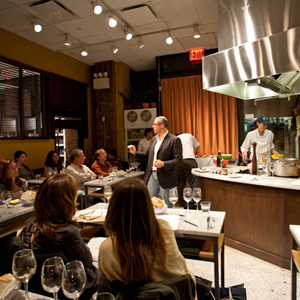 Whether savory, (such as the Grilled Polenta with Mushroom Ragu) or sweet (such as the Sweet Cornmeal Cake), the courses showed different ways to incorporate polenta into the dishes. We learned about the proper techniques to cook polenta, its origin, ways to cook it, and tried the delicious courses. I was impressed with the staff’s knowledge and simple explanations for each course. The dishes were substantial, but not expert level. 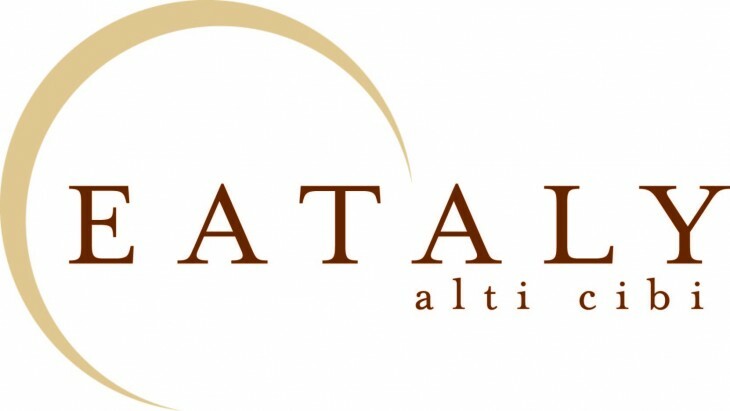 If you’re looking for a date night, a girl’s night out, something to do with a friend, or something to do by yourself, I highly recommend taking a cooking class at Eataly. You’ll experience an intimate culinary lesson while indulging in the ambience of good food and wine. I left the class knowing a little more about cooking, a lot more about polenta, and a with a greater want to travel to Italy.